Spring is in the air and the party season vibe is starting to amp up. I just love this time of the year. It’s also the season for new life – there seems to be openings left, right and centre. 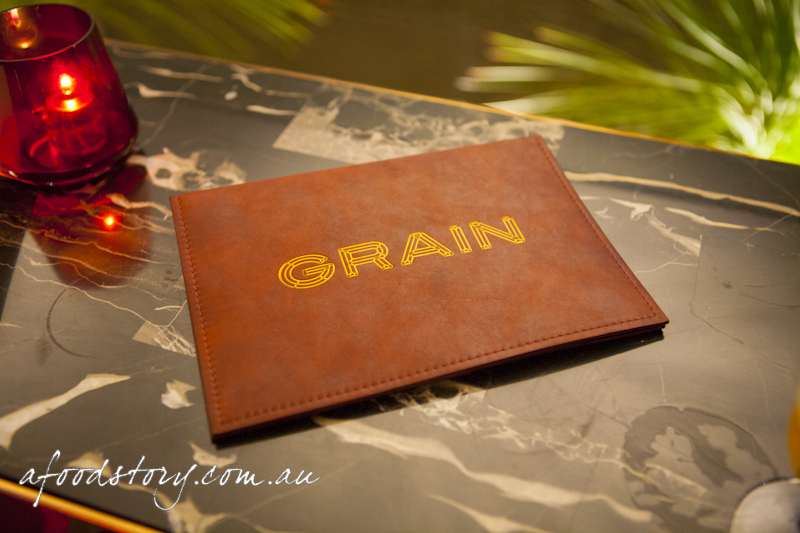 Monday 10th September saw the opening of GRAIN, a bespoke bar at Four Seasons Hotel, overlooking George and Alfred Streets. After a year of planning and 4 months of construction, the bar is open. 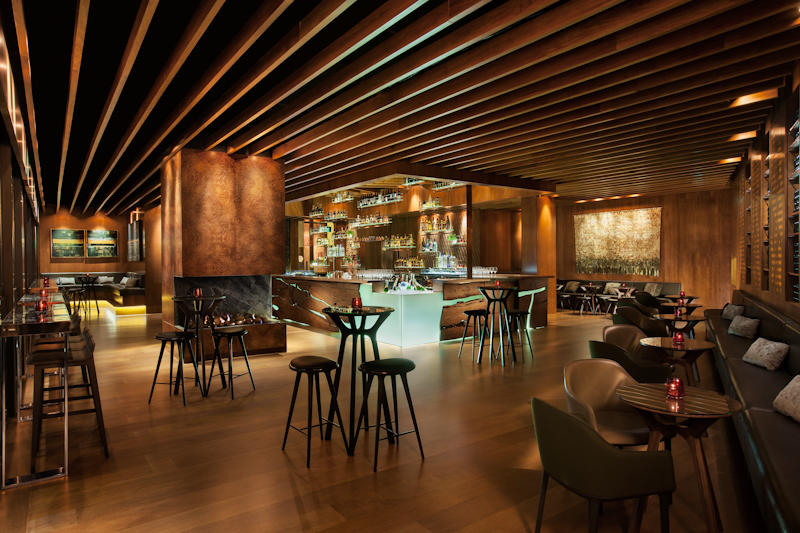 Designed by award-winning architect Michael McCann (of Dreamtime Australia Design – the team behind projects such as Victor Churchill Butchery, Sydney Seafood School, Flying Fish and The Argyle), the bar is absolutely stunning. From the oversized timber doors, handmade by Athol Wright of Country Design, to the central island bar made of slabs of Queensland Blackbutt timber, every inch of the space is beautiful. My personal favourite is the hanging ‘wall’ of bottles in the centre of the island bar. 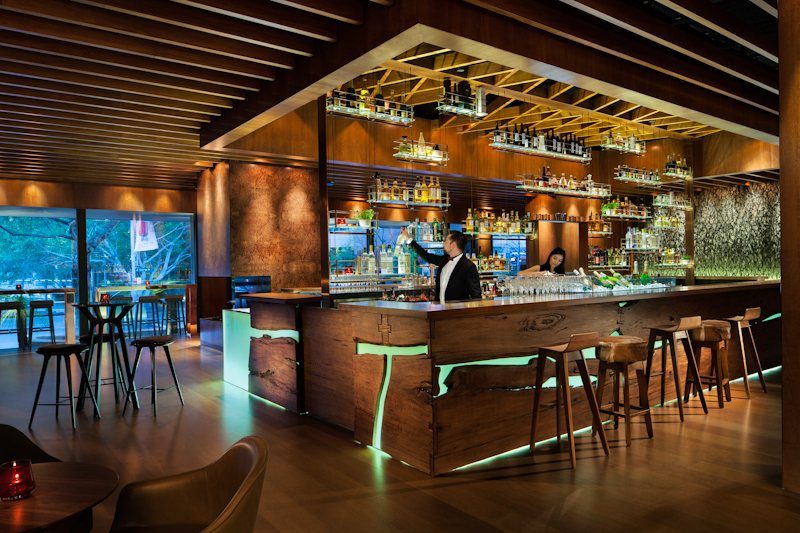 The name “GRAIN” was chosen to reflect both the integrated wood elements used throughout the fit-out and to represent the grains used in alcohol distillation. Bar Manager David Romas Hernandez, best known for his work at Low 302, has produced a drinks list with cocktails including Pink Lady, Paloma, Charlie Chaplin and Eastern Promise, beers from local brewers (such as The Rocks Brewing Co. and The Lord Nelson) and a short wine list with a nice selection of wines by the glass. And let’s not forget the food. Hamish Ingham of Bar H in Surry Hills has worked closely with David to design a contemporary fine bar food menu that complements the cocktail, wine and beer lists. Hamish has made huge inroads in the Sydney scene since his days at Billy Kwong. His restaurant, Bar H, was recently awarded one hat in the SMH Good Food Guide and he’s set to open Four Seasons’ yet to be named restaurant in November. With a glass of Louis Roderer in hand (available by the glass for $25), Dylan and I dug in to the potato crackling. Crispy, salty and utterly addictive, the perfect bar snack with a glass of bubbles. Red claw yabbies and Burnett yoghurt ($25.00). 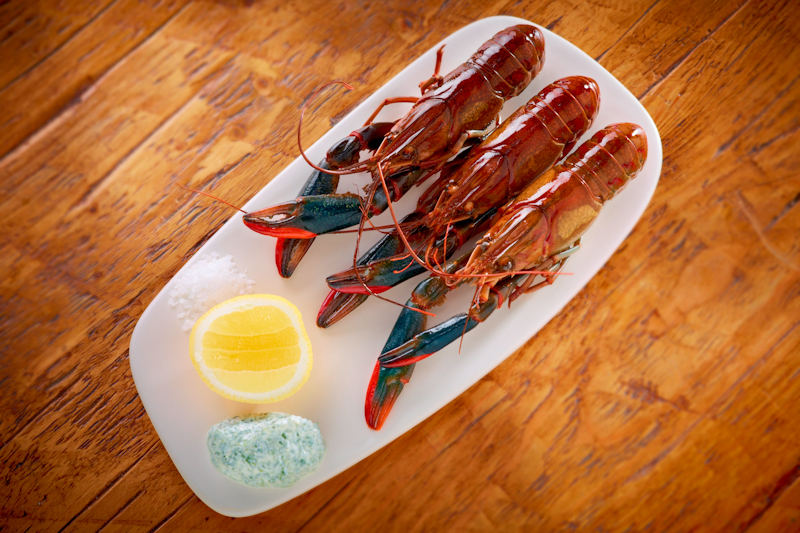 Don’t be scared off by the yabbies that are served in their shell, the kitchen has done all the hard work for you and the skewered yabby meat will simply pop out of the shell with little effort. The meat is sweet and the Burnett yoghurt an herbaceous and creamy addition. 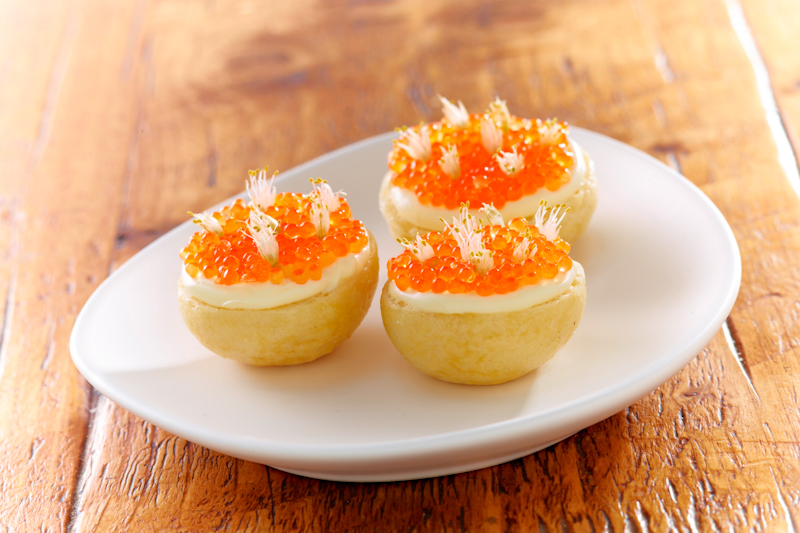 Steamed brioche and smoked trout roe ($6.00). The brioche bun is deceiving. Though described as steamed I still expected the brioche to be heavy, yet as I bit in I realised how very wrong I was. Pillowy soft, the buns are delicate and light. I quite happily downed a few of these. 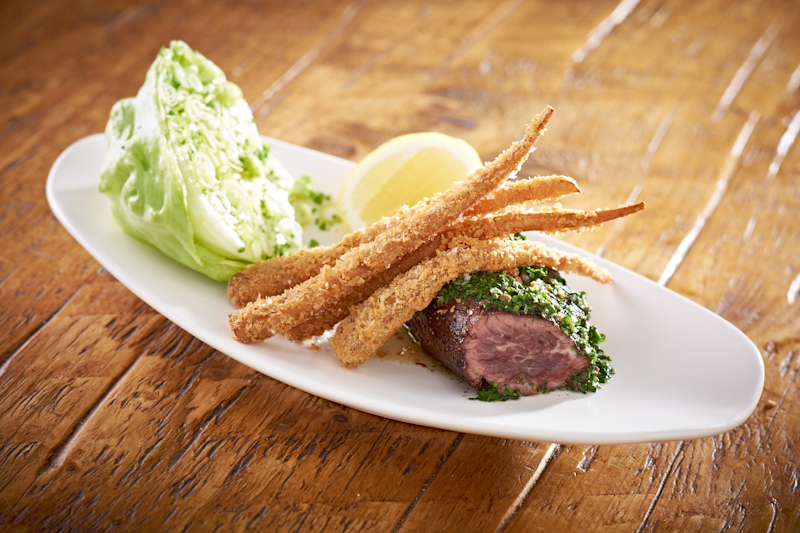 Salt and vinegar parsnips ($10.00) / Rangers Valley Hanger steak 7+ with salt and vinegar parsnips ($29.50). At first appearance these look like long pieces of calamari, but you know something is amiss. With a golden outer and pale centre, the parsnip fries are crispy, tender and earthy. They’re available on their own or with Rangers Valley Hanger steak. Definitely worth a second helping. Old man’s fried saltbush ($12.00). One of the more unusual bar snacks is the ‘Old man’s fried saltbush’. While not the easiest thing to eat standing up and with a glass of bubbles in one hand, it took me by surprise. The ratio of batter to saltbush was perfect and made this one moreish plant. 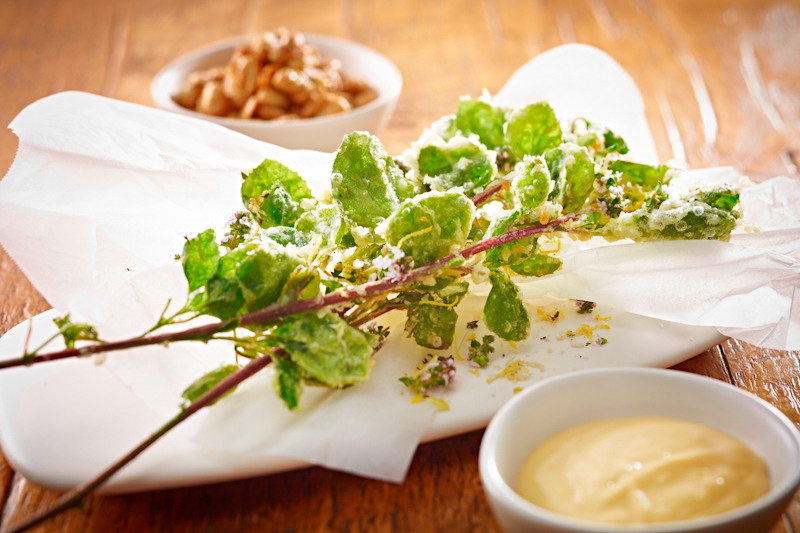 Tempura saltbush, oh yes please. Sit down at the bar and eat this, that’s an order. 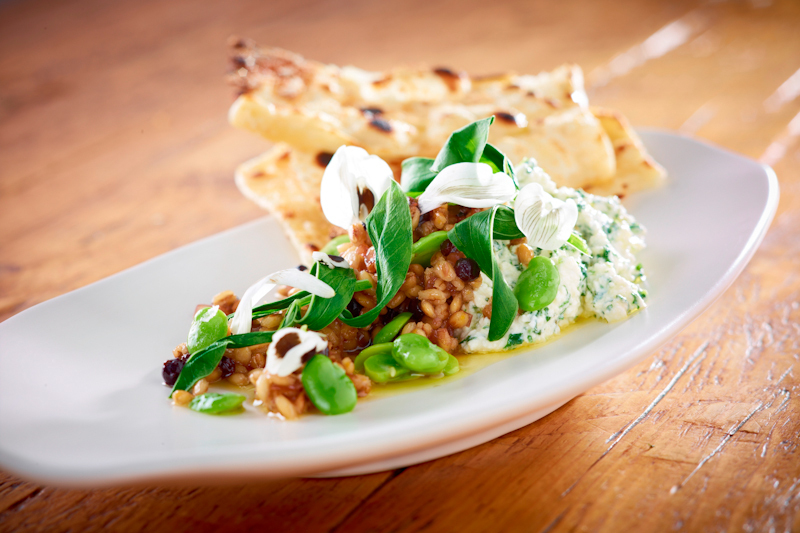 Herbed ricotta, new season broad beans and charred flatbread ($18.00). The menu doesn’t stop there though, there is also a particularly delightful lighter option of herbed ricotta and new season broad beans, for which the charred flatbread is a perfect carrier. 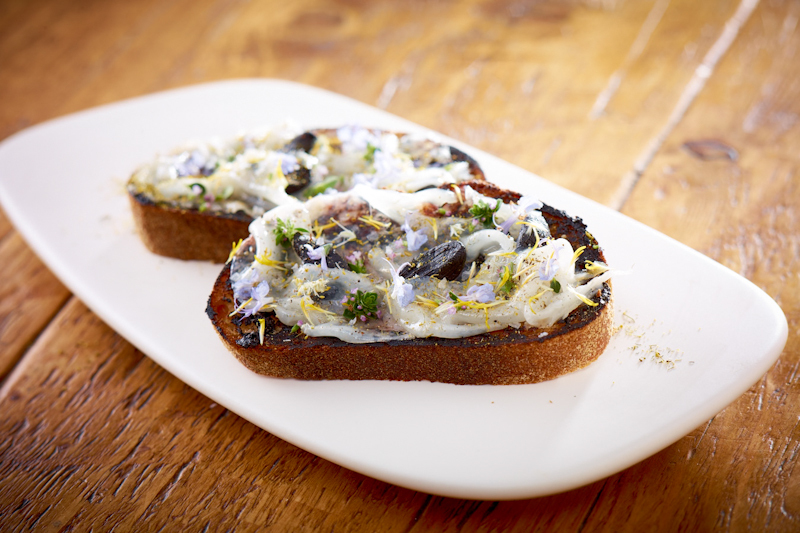 Lardo on toast, black and white garlic, spring pollen ($14.00). Lardo is my new bestfriend. I’d shied away from it in the past thinking it was unhealthy, but oh how that is irrelevant. Slathered on toast and with the caramelised sweetness of black garlic, it’s another hit. Oh mini pavlova, I don’t mind if I do. Even Hamish said I was allowed to have seconds… and thirds. These little babies are the perfect little sweetness, with fresh cream and juicy mutrie berries. Keep an eye out for them on the specials list (and beg GRAIN to add them to the permanent menu). A box of tobacco-smoked chocolate almonds ($8.00). 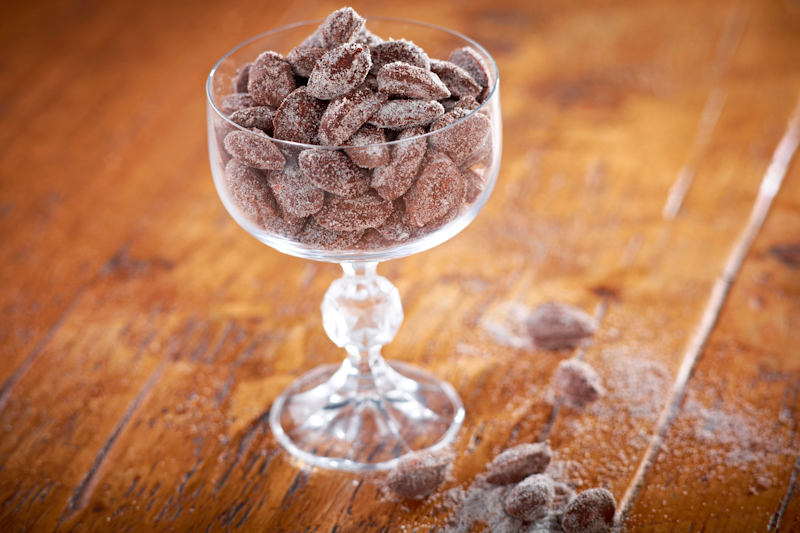 The tobacco-smoked chocolate almonds were dark, delicious and lasted mere seconds. Oops. And as we filled our bellies with delicious bar food, we sipped a few cocktails to wash it all down. Made with house made grapefruit soda, the Paloma has a great balance of sweet, sour and salty – and it packs a punch. No wonder it’s Mexico’s most popular tequila based cocktail. The Pink Lady has a refreshing sweetness and went down very easily. Pink Lady ($17.00), Charlie Chaplin ($18.00), Potato Crackling ($4.00), Bar Nuts (Complimentary) / Far From Jersey ($18.00), Eastern Promise ($19.00) / Clover Club ($17.00), El Diablo ($18.00). 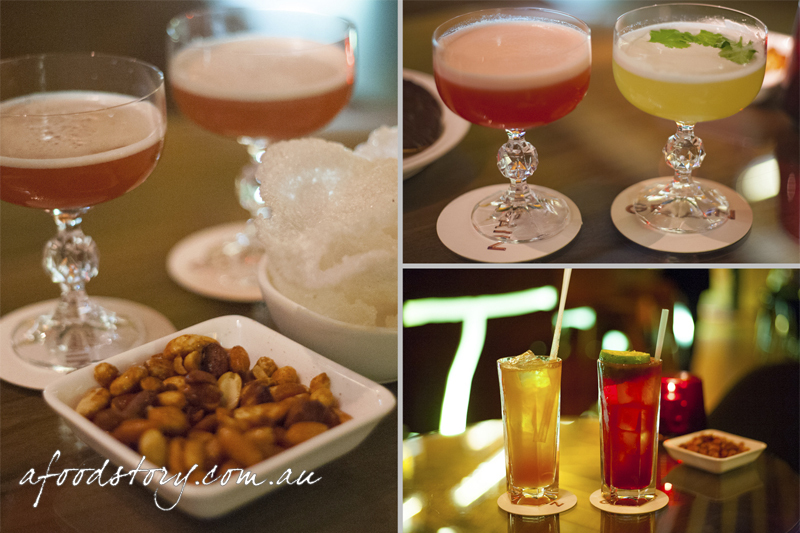 We loved GRAIN so much we headed back on Friday night for some more sneaky cocktails and to try the Roquefort and chocolate oaties. 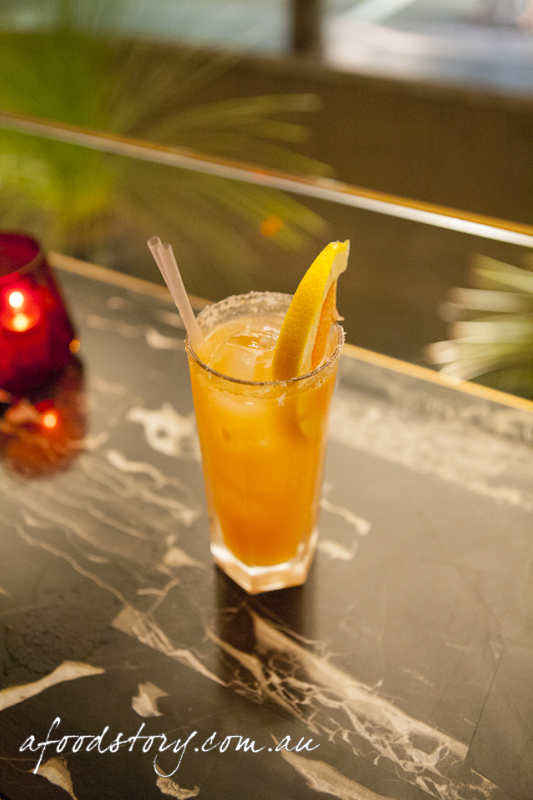 We’re making our way through the cocktail list, with the Far From Jersey and El Diablo quickly becoming favourites. Roquefort and Chocolate Oaties ($12.00). Blue cheese and chocolate is a fantastic combination that’s not as new as you might think. The French have known this secret for quite some time and Michelin starred chef Michel Bras has a famous dessert that brought the pairing into the limelight. Dylan and I had only been ogling Heston Blumenthal’s version on TV a few nights earlier, so it was a given we’d try it when we spotted it on the menu. I’ll say one thing: if you like blue cheese, you’ll love this dessert. It’s rather addictive. If you ask me, the CBD has been missing the type of bars that have been popping up in Surry Hills, Darlinghurst and the Eastern Suburbs. Sure small bars are popping up throughout the city, but they’re generally underground, small and full of dude food (which has its place, but I’m kind of over it). 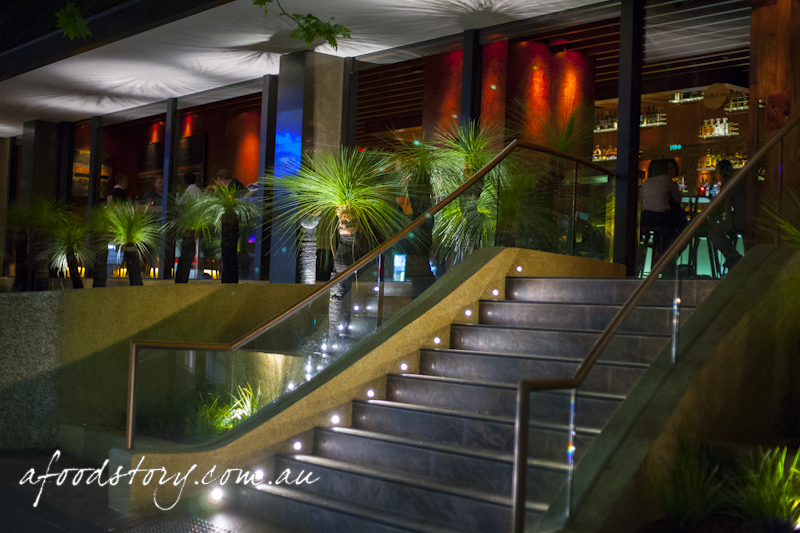 The space at GRAIN is great and I love that there is an entrance on George Street so you don’t have to walk through the lobby of an intimidating hotel to get there. The new restaurant, currently unnamed, is due to open in November and I can’t wait to see what Hamish is going to do. A Food Story attended the media showcase courtesy of GRAIN and RF Media. The food looks wonderful – and I like the decor of the bar (and that you can access it from the street). I’d be keen to try salt and vinegar parsnips and the blue cheese with chocolate. 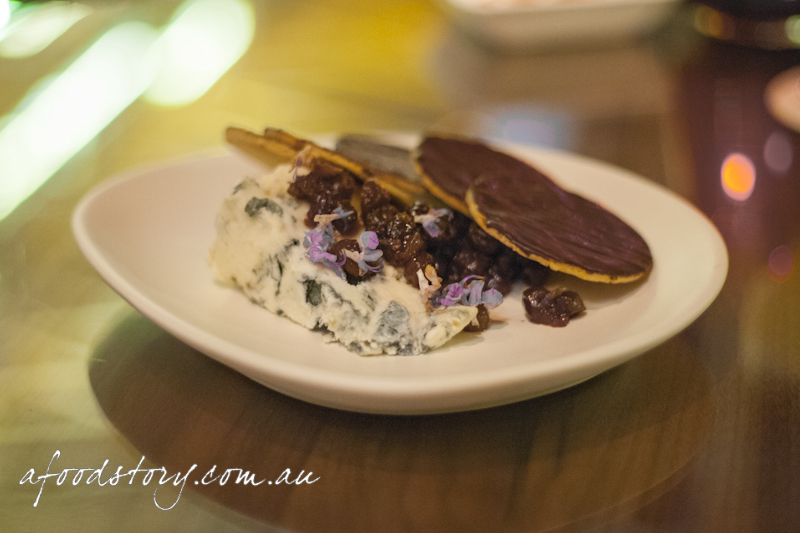 Blue cheese and chocolate definitely sounds like an interesting combo! This looks delicious – looking forward to trying it myself! Wow, I haven’t been here before but it looks amazing! Interesting foods too!